Aspen Dale Winery is a 200 year old barn with breathtaking exposed wood beams, flooring and a spiral staircase to the attic. Winding down from a long work week, I choose Aspen Dale Parris Country Blend. I have no desire to document this experience; I just ready to sip and relax. I pour and sniff, WHOO! The alcohol content is high, very unpleasant. I take a sip anyway – big mistake; definitely need to let this wine breathe. Fast forward – smoky, oaky aromas with slight meaty-beefy flavors. I highly recommend allowing this wine to breathe. 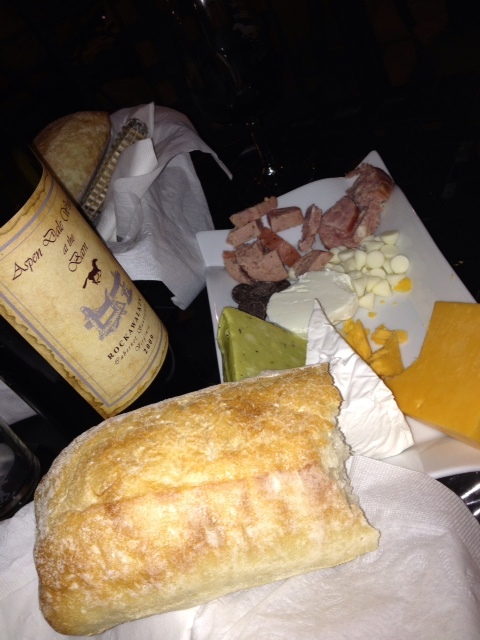 The aromas are brilliant and smooth beefy flavors glide along my palate. The Merlot has softened. It’s difficult for me to stop sniffing – intoxicating. Parris Country Blend – 80% Merlot and 20% Cabernet Franc. Cost: $28.00 definitely worth it! 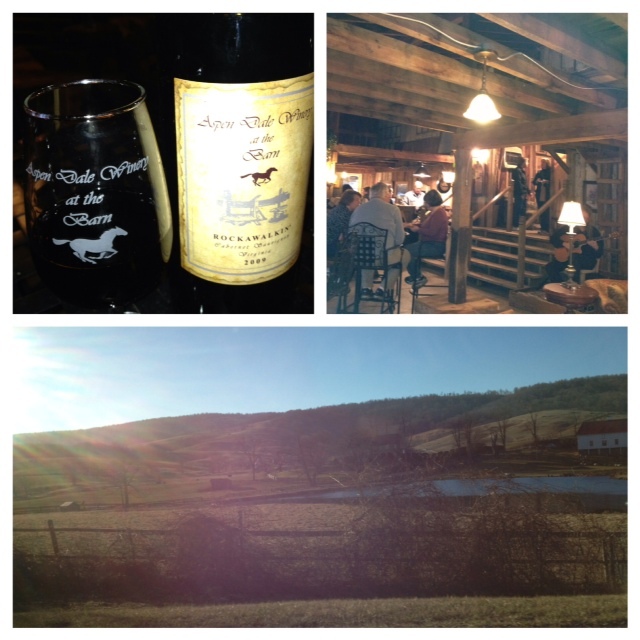 It’s a sunny breezy Saturday and we’re headed to Aspen Dale Winery. This will be his second visit and my… who knows, 5th, 6th… Parking is sparse and this place is packed. We enter the winery from the back, through the garden, which is lovely. We are definitely sitting out here in the springtime. I stake out an empty space at the counter and we wait, we give eye contact to the Tasting Room Clerk and the only thing that is shared is eye contact. The clerk continues her conversation with the Group and I begin to think, “Did we just invite ourselves to a private party?” We wait and no greeting from the clerk. The Winery is crowded, I stake out another location and come up empty. I remain put while The Professional ventures off to a podium, across the room, for information. One of the great things about Aspen Dale Winery is they do food and wine pairing that includes various cheese, wild game and chocolate. Next is my favorite part of the tasting, THE REDS! I will say that the Tasting Clerk is doing a fine job. She explained that we have the option to taste a wine not on the tasting sheet and is newly released, a Seyval or taste the Parris Country Blend. Since, I had the Parris Country Blend, last night, I chose the Seyval and The Professional selected the Parris Country Blend. Seyval is a white wine similar to the Greek wine Retsina, which in my opinion is an acquired taste. I’m pretty sure that I have tasting notes on Greek wine. 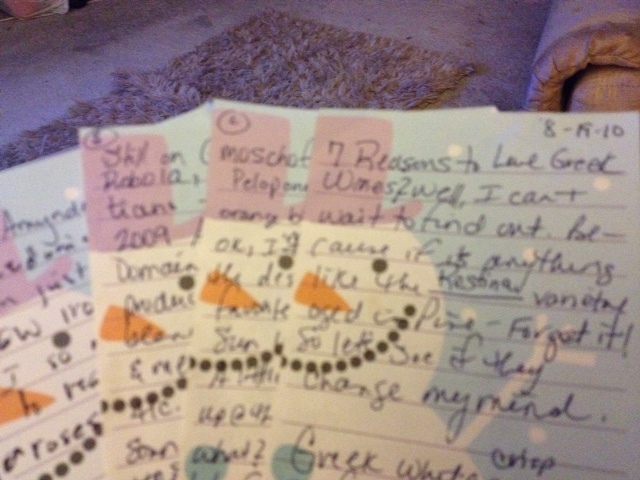 YUP, look what I found, “7 Reasons to Love Greek Wine” from a 2010 Saveur article, and no I’m not a hoarder:). The Seyval has a lemon-silver color; the aromas are masked by the high alcohol content. I’m picking up a slight sweet aroma. The Professional smells nail polish remover. The other tasters are vocal of their displeasure and yells out “Eww, it tastes like turpentine!” I’m trying hard not to let the comments of other tasters interfere with my taste. Here it goes… Piney, chemical-like substance that should not be in wine (face frowned). What is going on? I clear my mind and take another sip, deep back on the palate I’m picking up citrus and vegetable flavors. This is a young wine, I would like to taste it again once it bottle aged for at least 3 months. Time for some Rockawalkin! This is the best wine at Aspen Dale Winery. A Bordeaux blend of Cabernet Sauvignon, Petit Verdot and Merlot. 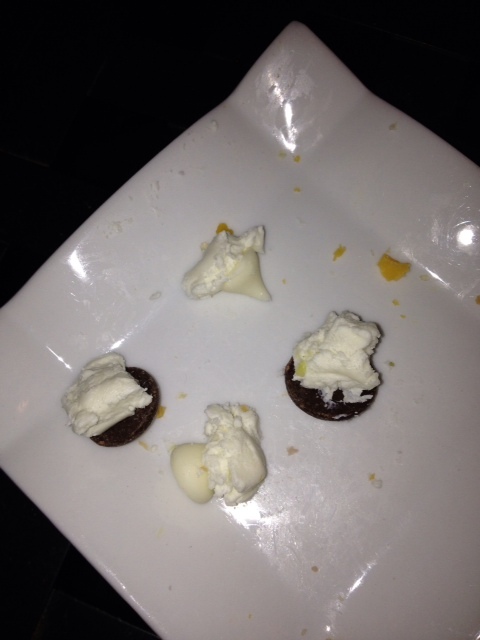 We place a piece of Goat cheese and chocolate and created it a cherry cordial. DELICIOUS!! Cost: $42.00. Don’t let the cost deter you from enjoying this wine, it is well worth it! KUDOS to the Shea, the winemaker, OUTSTANDING! For more information on Aspen Dale visit www.aspendalewinery.com. Do not use the address on the internet. Go to the winery website for the GPS address. Rockawalkin is the only wine I will buy & drink while up there! !